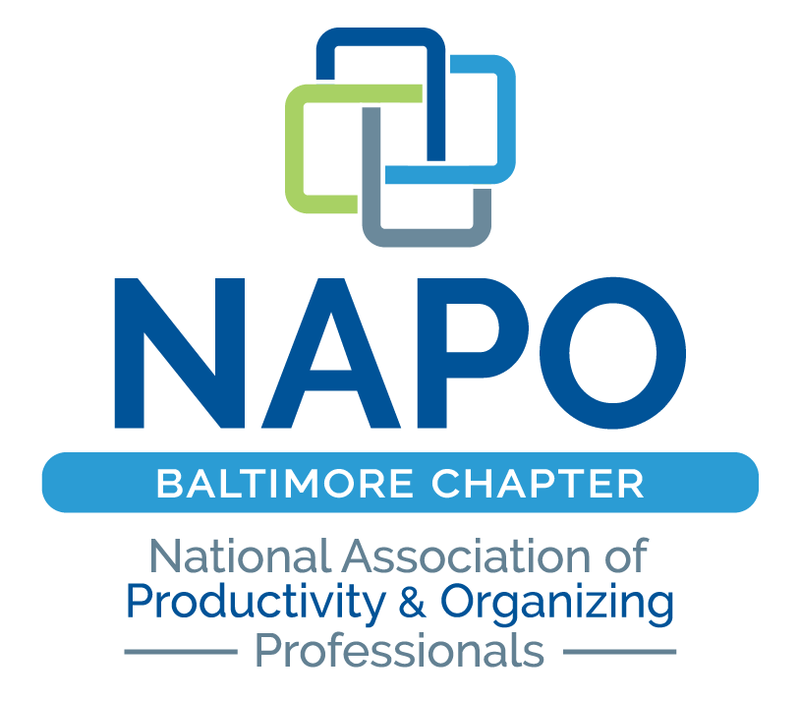 Welcome to the Baltimore Chapter of the National Association of Productivity and Organizing Professionals (NAPO). Our mission is to develop, lead and promote Professional Organizers and Productivity Consultants and their industry within Maryland. Our chapter was founded in 2008 as the premier resource in the greater Baltimore area for organizing and productivity professionals. NAPO Baltimore professional organizers and productivity experts help individuals and businesses take control of their surroundings, time, paper and systems for life. NAPO was founded in 1985 as a non-profit association dedicated to serving its members through education, networking and industry resources. NAPO members have access to a vast array of educational opportunities and must adhere to a Code of Ethics ensuring professional conduct with clients, colleagues and the community.